This week, I’m off to Emory University to speak (and join some classes) as part of their IDEAS weeklong event series. Looking forward to meeting with their IDEAS Fellows and talking alternative scholarship and comics with them! My master’s alma mater Wayne State University recently did a profile interview with me that talks a little bit about my somewhat secret origins. 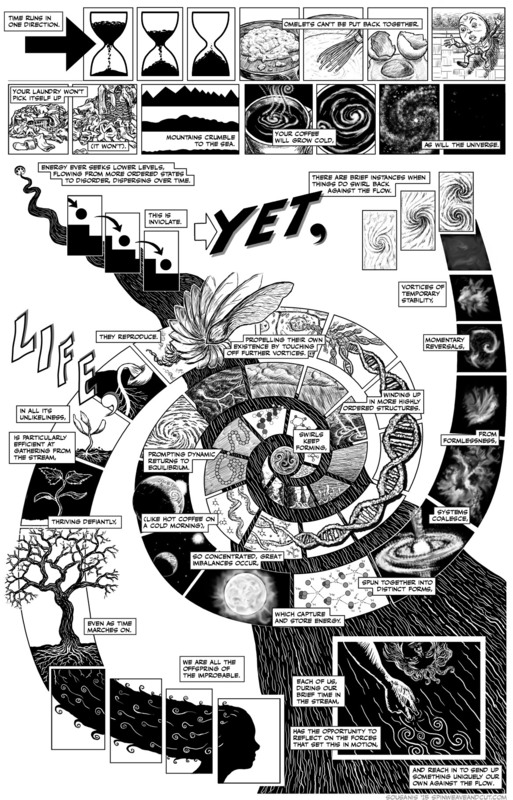 Over the last few years, I’ve gotten frequent requests to purchase prints of my Entropy comic “Against the Flow” – a single page comic that originally appeared in the Boston Globe print edition on October 4, 2015 (and online here). To facilitate getting that to people easier, I set up an account on Gumroad where folks can download a hi-res version and print as they like. That is available here. You can see all the sketches that went into its creation on this site here. 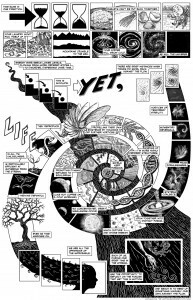 Abstract: Nick Sousanis’ experiment on visual thinking in comics, Unflattening, has been adopted as a text by educators and researchers in diverse contexts from high school to PhD seminars, since 2015. Sousanis’ book has made an international impact, alerting scholars and students to new possibilities for multi-modal and interdisciplinary inquiry and research. It has been translated into multiple languages and recognized though numerous American and international awards. 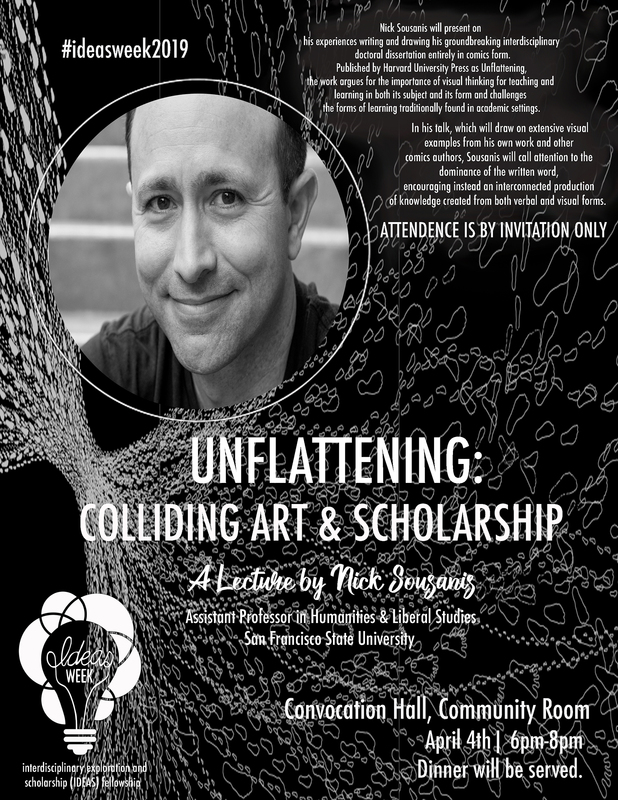 True to its core challenge to traditional scholarship, Unflattening has inspired others to try their hand at arts-based research, and has been interpreted in dance and musical compositions. 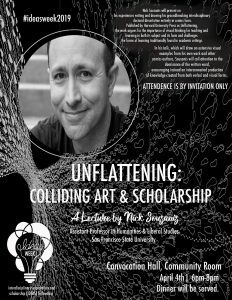 This symposium’s presenters discuss applications of Unflattening as an unconventional text in teaching and research. Contexts range from teacher education to collaborative ethnography. Two months back, the 13th Festival de Verão da UFMG (UFMG Summer Festival) took place in Brazil, and this year’s theme was inspired by Unflattening! (Desaplanar in Portuguese) The festival curator team proposed as the concept for the festival “Desaplanando Horizontes” – with the idea to lead participants into “seeing through someone else’s eyes”, with the thinking that diverse lines of reasoning are interwoven and can lead to changes in perception. 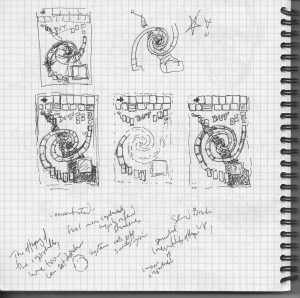 The program was based on diversity, and different, but not isolated, points of view, which overlap and interact to form a multidimensional perspective. In an attempt to exercise imagination and expand understanding, the Festival invited both thinkers from “academic world” as well as thinkers from local and global tradition, equally valuing divergence and the coexistence of different thoughts, in a multidimensional perspective. The festival offered several workshops, dealing with topics like comic strip, artistic use of the overhead projector, black theatre, feminism, and more. The full program and more details are available at festival websites here and here. Over on Twitter – librarian Lindsey Crozier’s post on her daughter’s brilliant response to having comics banned from her classroom sparked a lot of responses. 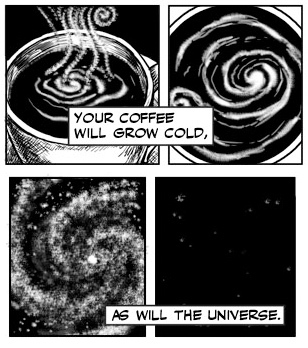 I’m sharing some of mine to it here… This is an exercise I have students do – a letter to a parent, administrator, former teacher – on why comics belong in educational settings. Every time I think maybe this battle is over, I see things like this – so I’m keeping it on my syllabi for some time to come I expect… I posted Lindsey’s tweet, and some of my responses below, and you can see my syllabi, student work, and other resources on the Education part of my site here. 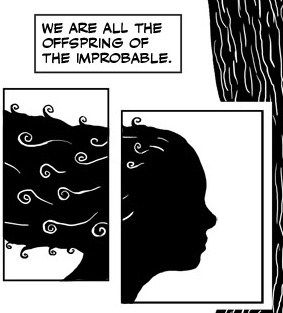 Related, my colleague at SFSU, professor of history and author of the graphic novel Abina and the Important Men Trevor Getz recently wrote this essay on comics as an important pedagogical tool – also in response to some of these stupid anti-comics statements made of late. Trevor also teaches a class on teaching history through comics as part of our comics minor – which isn’t mentioned in the article – but you can learn more about our Comics Studies minor here. 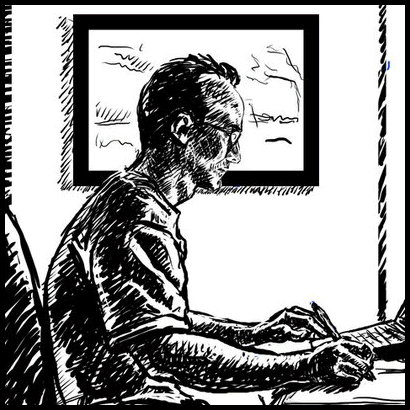 Related, Ryan Goble co-wrote with Elizabeth Wiersum an article for the NYTimes on Teaching the Odyssey with the New York Times – that among other things includes some comics exercises of mine used by teachers in their classroom explorations of the Odyssey.